Royal Enfield is going to launch four superbikes in the 250-700cc by 2020-21. These bikes will take on the superbikes from Harley Davidson and Triumph. The decision comes after Harley and Triumph announced that they will launch new, low displacement bikes in India. Harley Davidson and Triumph recently announced their plans for India. They are developing new low displacement bikes in the 250-500cc range for the emerging markets of India. These bikes will directly take on the Motorcycle giants, Royal Enfield. As per ET Auto, in retaliation to this move, it is going to launch four superbikes in the 250-700cc segment. RE has codenamed these big bikes as J, P, Q, and K. Currently, its most powerful bike is the upcoming Royal Enfield Continental GT 650 and Interceptor 650. Along with these, there will be more powerful bikes to take on the super cruiser brands. Around 5-6 bikes are planned till 2023, which will also include bikes above 650cc. With this, RE can actually be one of the top players in the premium bike segment. Starting with the J platform, it is mostly for the BS-VI versions of the Royal Enfield Classic, Bullet, Thunderbird and Himalayan series. It includes the Classic 350 and 500, Bullet 350 and 500, Thunderbird 350 and 500 and the Himalayan. In this platform, we can also see a 650cc version of the Thunderbird. Currently, Thunderbird is the only proper cruiser in RE’s lineup. So Thunderbird 650 might seem possible. The P Platform is for the upcoming 650 Twins. On this platform, the Royal Enfield Continental GT 650 and Interceptor 650 are made. Later when the emission norms kick in, they might introduce the BS-VI versions of both the bikes. As of now, both the bikes are going to launch globally on 22-26th September 2018. After these existing bikes, new bikes will come under the Q and K platform. ET Auto says that under the Q platform, it could make bikes to compete with Triumph Thruxton. So with this platform, it might make cafe racers up to 1200cc engine displacement. The highest that RE has gone is up to 1000cc parallel twin engines globally. In India, the maximum is 650 and 750cc V-Twin engines in the 1970s. Lastly, the K platform might come with bigger bikes above 600-700cc. This could include some new models or 650cc versions of the Himalayan or Thunderbird. Also, Royal Enfield Electric bike is expected to happen in 2021. RE has already confirmed that the Electric variant is in development. If these launches happen, then RE will become a tough force to reckon. 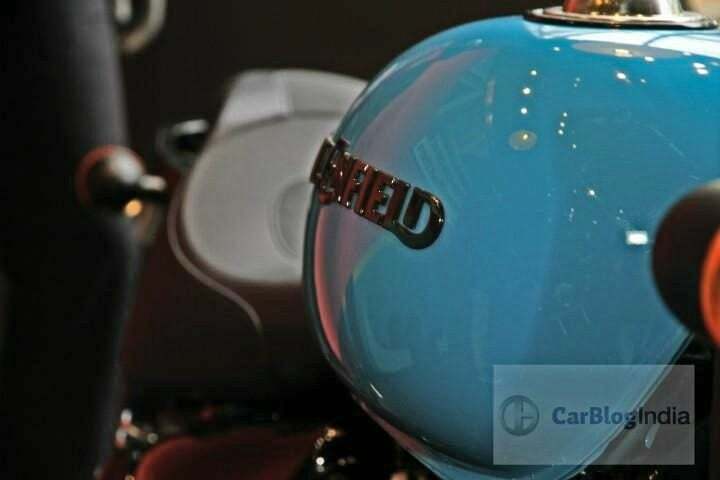 Stay tuned for more updates on these upcoming Royal Enfield Superbikes.